Rescuers Saves Woman From Jumping Off Penang Bridge After Finding Out Her Husband Cheated On Her! It’s never easy when you find out about your spouse “secret” activities and once you do, your whole life starts crumbling down on you. Just like this woman who tired to do the unthinkable act. 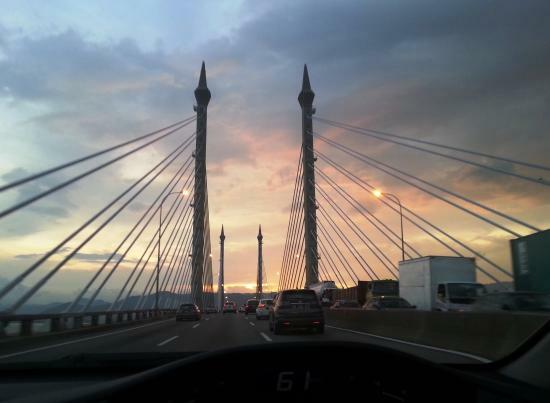 A mother tries to commit suicide on the Penang Bridge while her four children were left in the car! Seberang Perai Tengah District Police chief ACP Nik Ros Abdul Hamid said today the incident happened at 12:40am when the 34-year-old woman stopped her Proton Exora car, in which her four children were, at the bridge, NST reports. When fire and rescue personnel arrived at the scene, the woman ran back into her vehicle and tried to drive off with her children. Nik Ros Azhan said the woman had apparently acted that way because her husband was in allegedly in debt, having burrowed from “ah long” (illegal moneylender), and had allegedly cheated on her. He also added, rescuers managed to save the woman and the policemen took her to the nearest police station to record a statement from her but she was under stress and was freed on police bail. Could you imagine being in her shoes? Hopefully, the police officers would investigate further on this and try to help the distraught woman any possible way they can.